We build strong walls, naturally. Filtrexx® LivingWalls™ division offers an extensive portfolio of living walls for banks and slopes. Landscape architects, designers, and civil engineers thrive on the possibilities our LivingWalls offer to their green structure projects. 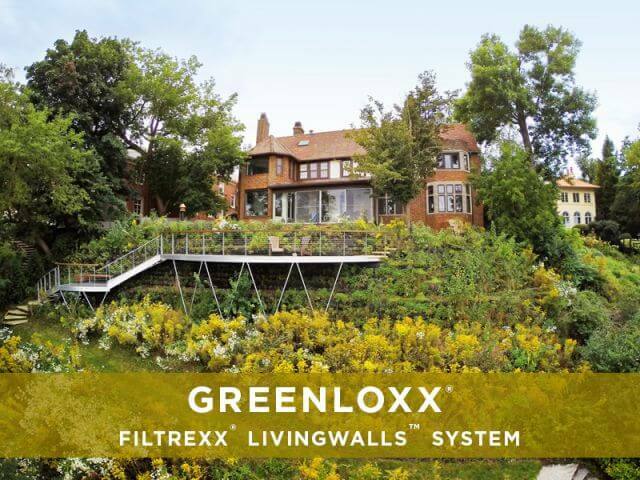 Filtrexx LivingWalls has an extensive portfolio of living wall solutions that provide the underlying structure needed to permanently stabilize extreme grade changes. In addition, our living walls offer higher aesthetic appeal than conventional block or concrete systems – at a fraction of the cost. We build a wide range of Mechanically Stabilized Earth (MSE) and non-MSE solutions for banks, walls and slopes from 45 to 80 degrees of inclination, with varying degrees of design flexibility and planting options. Filtrexx LivingWalls systems, just like green roofs, rain gardens and bioswales, help minimize stormwater runoff, cool the environment, and provide habitat for native creatures. Living walls also contribute to the Leadership in Energy and Environmental Design (LEED) points of a project in several categories. Contact our team for a customized quote or technical support on your next living wall project. 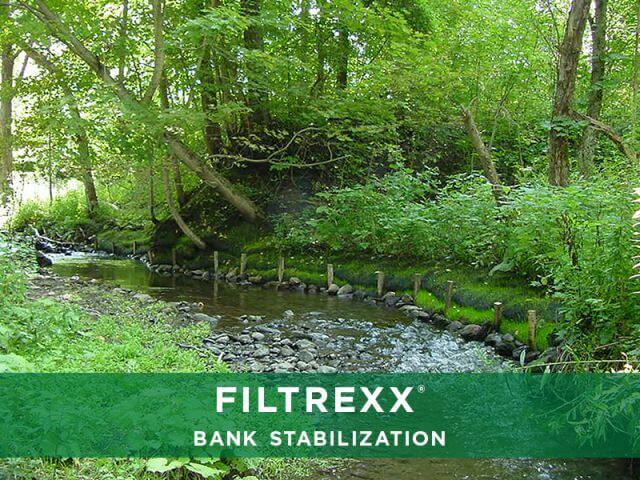 Our Filtrexx® Research Library contains research data, both published and unpublished, about stormwater management, sediment & erosion control, pollutant removal and living walls applications. Gain access to our research by visiting our Filtrexx Research Library section.